Iowa’s medical cannabis advisory board this month recommended adding autism as a qualifying condition for medical cannabis. The recommendation now needs final approval from the Board of Medicine to be implemented. After hearing emotional testimony from a mother of a young girl with severe autism, the nine-member board voted in favor of giving children diagnosed with the developmental disorder legal access to cannabis. Iowa’s medical cannabis advisory board is made up of eight physicians of different specialties and one representative from law enforcement. Chaired by Mason City Police Captain Mike McKelvey, the board meets two to four times per year to review petitions to add qualifying conditions to the program. In a meeting on November 2, the board approved the petition to add severe autism, but voted against recommending the addition of post-traumatic stress disorder (PTSD), bipolar disorder, and attention deficit hyperactivity disorder (ADHD). “I think all the physicians have indicated a willingness to reconsider any of these conditions if there’s more information available,” said Randy Mayer, who oversees the state’s medical cannabis program. The board also did not recommend any change to the program’s 3 percent tetrahydrocannabinol (THC) cap on medical cannabis produced for sale in Iowa. The board said it wanted “another year or two under our belts” before considering lifting the limit. Iowa since 2017 has allowed patients diagnosed with a handful of “debilitating medical conditions” to legally possess and use cannabis containing no more than 3 percent tetrahydrocannabinol (THC), the intoxicating compound that causes a high. Advocates have argued that patients with some conditions fare better with higher THC levels. Despite polls showing that more than three in four Iowans support legalizing medical marijuana with higher levels of THC, lawmakers have been hesitant to expand the program. Additionally, registered patients of Iowa’s medical cannabis program have faced challenges legally obtaining their cannabis. For years, it was illegal to manufacture or distribute cannabis, and federal law prohibits the transportation of marijuana across state lines. Earlier this month, however, lawmakers, advocates, and state officials gathered in Des Moines to celebrate the grand opening of the state’s first medical cannabis manufacturing facility. Qualified patients will be able to buy low-THC cannabis oils, capsules, and topicals at the state’s five licensed dispensaries beginning December 1. Autism spectrum disorder (ASD) is a range of complex neurodevelopmental disorders that are characterized by social interaction difficulties, verbal and physical communication problems, and restricted or repetitive patterns of behavior. Research into cannabis for autism have found evidence that the plant’s cannabinoids can improve hyperactivity, lethargy, irritability, stereotypy, and inappropriate speech. Animal studies suggest that cannabis can help improve focus and reduce depression. Investigators have found what they believe to be a potential link between autism and the endocannabinoid system, a major regulatory network that cannabis-derived cannabinoids interact with. The findings indicate dysfunctions with the endocannabinoid system may be related to the disorder, which could suggest a potential therapeutic application of cannabinoids. Read more about the research into the effects of cannabis on autism here. And how often have we heard, “More research is needed,” from those who would prefer to see no change in policies that should be informed by science? Three Brazilian scientists – Fabricio Pamplona, Lorenzo Rolim da Silva and Ana Carolina Coan – examined data from 11 different studies comprising 670 patients who were treated for an average of 6 months. The meta-analysis focused specifically on three kinds of childhood seizures (Dravet, Lennox-Gastaut, and those caused by CDKL5 deficiency), and sought to describe the effectiveness, required doses, and side effects associated with cannabidiol. 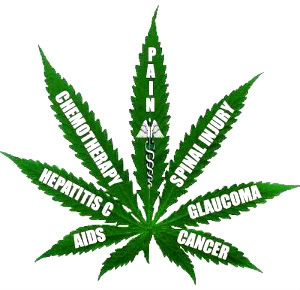 Cannabis contains THC and many minor compounds with potential anti-epileptic activity, including THCV, CBDV, and the terpene linalool, among others. These chemicals interact synergistically with cannabidiol to confer a holistic “entourage” or “ensemble” effect so that the therapeutic impact of the whole plant is greater than the sum of its parts.The interaction between cannabis components and the endocannabinoid system is not simply additive. By acting as receptor agonists, reuptake inhibitors, and allosteric modulators, plant cannabinoids elicit many effects that combine synergistically.In June 2018, Spanish scientists documented the superior potency and anti-cancer efficacy of a full spectrum cannabis oil extract compared to a single molecule cannabinoid (THC) in a breast cancer study.Also in June 2018, Israeli scientists reported that cannabigerol (CBG) and other cannabis compounds interact synergistically in a manner that confers anti-cancer activity against colon cancer.Take-home message: Regulatory policy should not privilege single molecule cannabinoids over whole plant cannabis remedies. The authors also examine whether the improvements met specific thresholds: How many people had greater than 50% reduction of seizures (a typical threshold used in medicine)? How many had greater than 70%? Both formulations reduced seizures by 70% in about one quarter of the patients, but fewer studies recorded this. And roughly one in 10 patients using CBD became seizure-free, although not enough studies reported this metric to compare different formulations. Perhaps the most striking conclusion of this study is the dramatic difference in doses for isolates compared to full spectrum CBD-rich oil extracts. The mean dosage for people using pure CBD was 25.3 mg/kg/day, but for CBD-rich extracts it was 6.0 mg/kg/day. In other words, CBD in a whole plant extract was over 4 times more potent than isolated CBD. 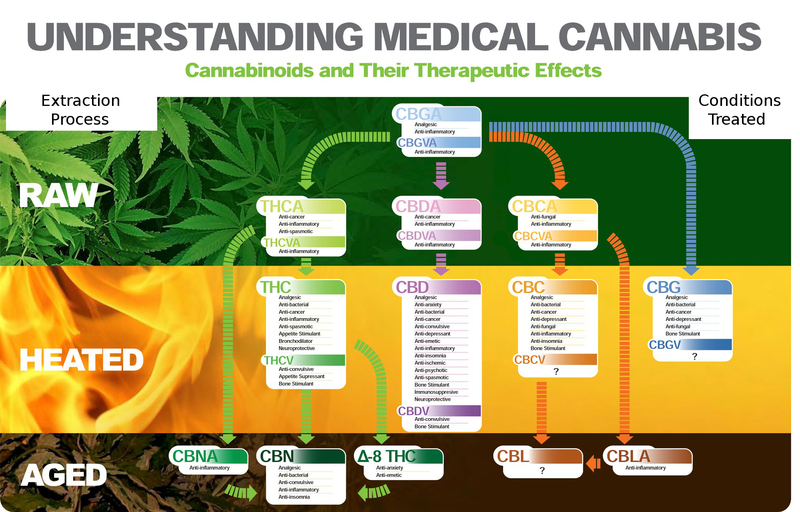 This result is a reflection of what’s known as the “entourage effect,” whereby the therapeutic impact of the whole plant is greater than a single compound or even the sum of the plant’s individual medicinal components. Whole-plant cannabidiol also distinguished itself from isolate CBD with a lower rate of side effects. Isolate CBD was associated mild adverse events2 in 73% of patients, whereas whole-plant CBD was associated with mild adverse events in only 33% of cases. The authors suggest that this difference is due primarily to the lower dose of CBD used when formulated as a whole-plant extract. It’s worth noting that many of these “side effects” are present in the absence of CBD, and that adding CBDto treatment tends to reduce these side effects, so the numbers may be overestimates. A meta-analysis is a specific kind of study meant to draw firmer conclusions once many papers have been published on a single topic. It is used to determine quantitative information, and can also help determine the basis for different results that the initial studies did not have the power to prove. Meta-analyses, however, are prone to bias when the studies used very different designs, and there was one notable difference between the whole-plant extract and CBD-isolate research. All the isolate studies were prospective, meaning that participants were treated according to a protocol written by the researchers. The whole-plant extract studies, on the other hand, were retrospective analyses or surveys. The lack of prospective studies with whole-plant extracts is due to the schedule 1 status of marijuana, which seriously hinders research into the medical uses of cannabis. Retrospective studies are slightly more prone to bias, such as underreporting of side effects. Despite the potential for bias, this meta-analysis demonstrates that whole-plant cannabidiol extracts are as effective as CBD isolates, if not more so, and can treat refractory epilepsy at much lower doses. BY ADRIAN DEVITT-LEE ON NOVEMBER 07, 2018 – Adrian Devitt-Lee, a Project CBD contributing writer, is a graduate from Tufts University with a degree in mathematics and chemistry. 1. The numbers reported here are not exactly the same as those reported in the meta-analysis. There were a few minor mathematical errors due to complications when consolidating the various data. The mistakes do not change the conclusions of the original study, and the authors have issued a correction. The correct numbers are reported here. 2. “Adverse events” were defined by the authors of each individual study, which could lead to some bias. Mild events included weight loss, fatigue or sedation, gastrointestinal problems, and nausea. Severe events included alterations in liver function. You don’t have to follow Donald Trump’s Twitter account to know the US unemployment rate in September dipped to levels unseen since 1969. While these historic statistics are certainly a move in the right direction for the US economy with multiple industries reporting employment increases, much of the growth may be coming from a very unlikely source – marijuana. Although once considered counterproductive and even demotivational, hundreds of thousands of jobs are being created as the cannabis industry expands. In a conversation with Davyd Smith, CTO at Vangst, a cannabis-centric recruiting agency based in Denver, CO, he referred to their own “Industry Insights” report which not only showed a 690% increase in job growth in the prolific sector, but more than a 16% increase in salary between 2017 and 2018 for existing roles. “There’s certainly no lack of jobs,” Smith stated. From direct hire positions, seasonal, and even temp personnel, Vangst has seen significant growth in employment opportunities within the cannabis arena. According to their website, Vangst helped over 7500 people find a career in cannabis and currently has nearly 400 open positions to fill. “Nobody will like it when I say this… the fastest growing jobs category is Marijuana [with] 445% job growth year over year,” Siegal stated. He went on to put the astronomical number into perspective for the audience by pointing out technology job growth is in second place with just 245% growth. Additionally, the increase in the legal cannabis industry makes the 70% growth in the healthcare industry look downright dismal. In fact, according to a report published by the employment firm at the end of last year, job postings in the fourth quarter of 2017 indicated nearly 700% growth year over year with 79% growth quarter over quarter. Although a portion of the dramatic increase may be attributed to California’s recreational legalization in 2018, the trend clearly shows ample opportunity as other states consider adding legalization initiatives to their ballots. Employment estimates by Marijuana Business Daily indicate approximately 160,000 people worked in cannabis as of June of this year (2018). At the same time, BDS Analytics and ArcView Market Research also released a report with a bold prediction for the future. In their 6th Edition of The State of Legal Marijuana Markets, researchers estimate nearly a half-million people will work in the cannabis industry, and its ancillary businesses, by 2022. Let’s put that number into perspective: As of today, there are less than 6 million unemployed people in the United States, a 6-8% reduction in that figure is significant. Maybe one of the most fascinating aspects of legalization is considering the industry is experiencing this explosive growth in spite of contradictory laws and the inherent risks associated with the controversial industry. While just nine states currently allow adult-use, one can only anticipate what the market and job potential would be if the United States followed in the footsteps of our northern neighbor and made cannabis consumption legal across the board. Without providing equal opportunity within the US Cannabis industry, the unbridled opportunity in Canada could potentially present backlash to the United States market. However, Smith warns, the nationwide legalization in Canada may present an even more substantial talent drain as Canadian entrepreneurs and producers look to build new, or expand existing, cannabis operations with established personnel. Today, Smith advises, cannabis industry businesses should focus on more than just recruiting – retaining quality employees is also vitally important, especially as other legal markets come online.